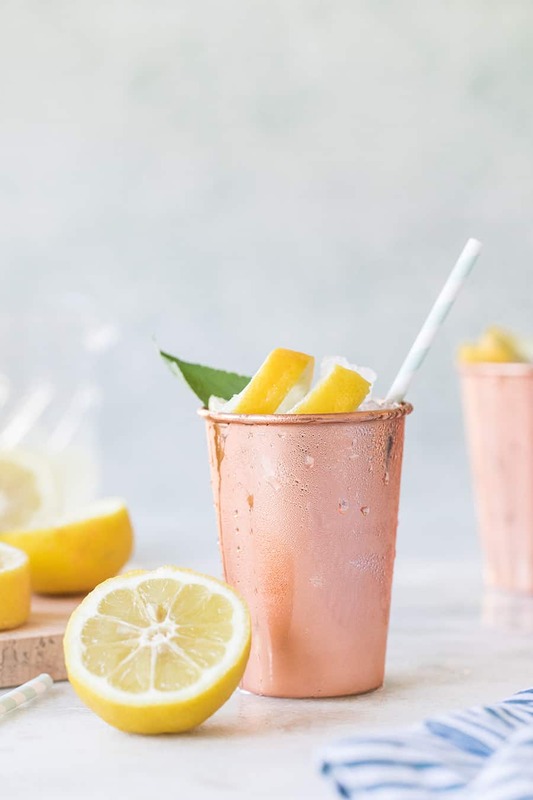 Bringing you all another unique twist on the classic Moscow Mule with these refreshing Lemon and Sage Moscow Mules! 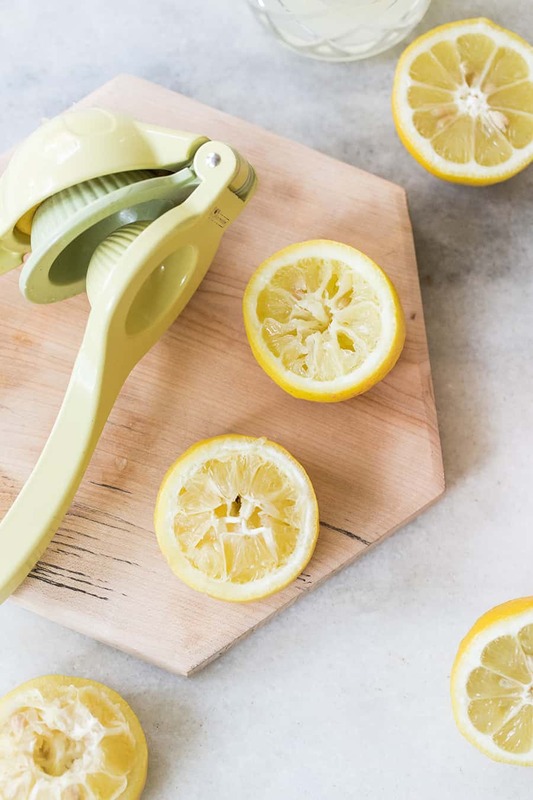 These yummy libations are perfect for the summer when lemons are in abundance! Instead of lime juice, we used lemon juice, then a dash of limoncello, fresh muddled sage and delicious ginger juice simple syrup! Speaking of ginger syrup, I have two types that I really love. One is an organic ginger juice and allows you to make your own simple syrup. The other is Liber & Co. Fiery Ginger Syrup that is already made for you and is super gingery and spicy! 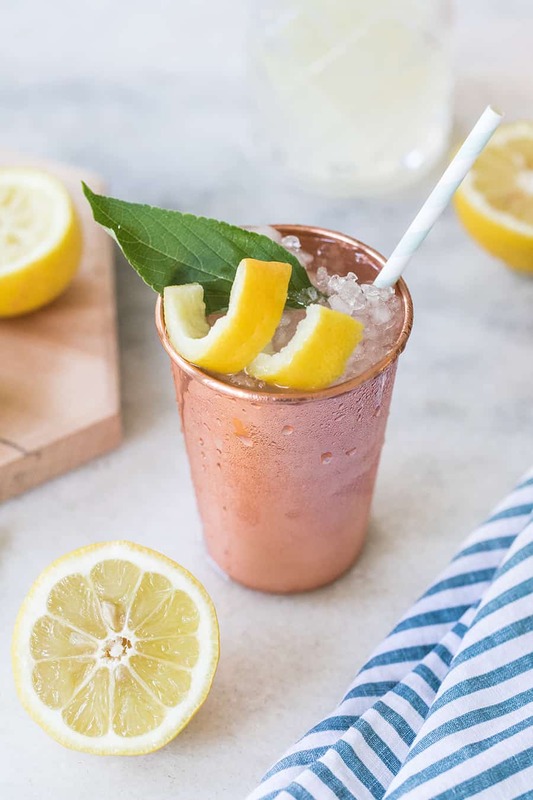 Both ways make for great authentic Moscow mule recipes. 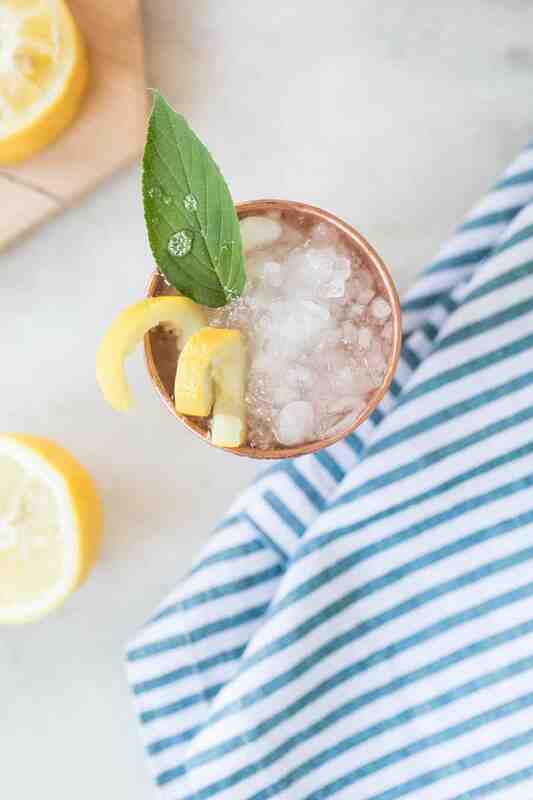 Garnish your mules with a thick lemon twist! Instead of copper mugs, we used copper tumblers! They’re modern and different and look beautiful on a table setting! 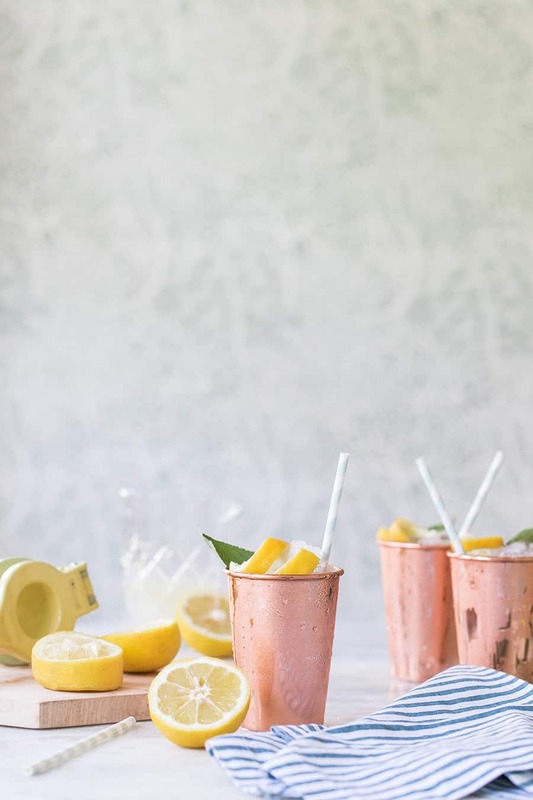 If you like these, then you’ll love our Pineapple Moscow Mules too! In a sauce pan combine ¾ cup ginger juice and ¾ cup sugar and bring to a simmer until sugar is melted. This will make the ginger simple syrup for the recipe. If you don't want to make your own, this one is REALLY good! In a copper mug, muddle sage leaves with ¾ ounces ginger simple syrup. Add in the vodka, lemon juice, a dash limoncello and stir. Fill with ice and add in sparkling lemon water. Stir really well before serving. Add in more sparkling lemon soda if you need!